Huh? The album art for British singer-songwriter J. Spaceman’s newest album Sweet Heart Sweet Light dons a white background, the outline of a stop sign, and the phrase “Huh?” It’s an interesting icon, especially for a man who has made his life’s work dodging media and disrupting critics, all the while releasing some of the most cherished music of the past few decades. Is it meant to confuse listeners? Should it signify a new direction for the band? More likely, it’s Spaceman’s subtle shrug of indifference to every listener. But sadly, the album’s cover is the most interesting word or phrase used throughout the entirety of Sweet Heart Sweet Light. Lyrically, the album is a huge step back for J. Spaceman, otherwise known as Jason Pierce. Spiritualized’s lyrics have always been immediate at best, but there was a more heartfelt nature about them on past records. When Pierce sings, “I used up all my affection,” and “I lost all of my direction,” on “Get What You Deserve,” the execution is far from effective, and the character in the song is Pierce personified. Maybe you’re piqued by sentiments like “Love lights the flames when there’s hearts it can burn,” but on most of Sweet Heart Sweet Light, the messages are trite and over-simplified. 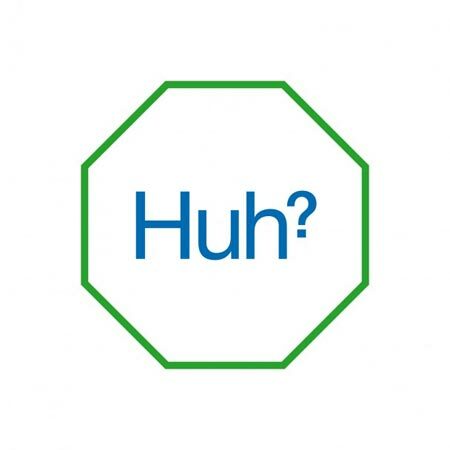 And maybe taking lyrics out of context to make Pierce sound like a lazy songwriter is over-simplifying the issue, but one spin through the record, and it becomes blatantly obvious that brains behind Spiritualized was grasping at straws for subject matter. Some listeners will find it nearly impossible to look past the weak lyrics on the record, but rest assured, the rest of Sweet Heart Sweet Light is nothing short of tremendous. How any artist is expected to follow up records as well received as Ladies and Gentleman We Are Floating in Space or Lazer Guided Melodies remains a mystery, but there are enough similarities here to warrant a happy response from the masses of lifelong fans. The brand of space rock that has become associated with the malleable band remains intact on Sweet Hear Sweet Light, immediately obvious from the album’s second track, the nine-minute single “Hey Jane.” The slide guitar and cymbal crashes that drift on and on for nearly the entire track, combined with Pierce’s jingling voice, make for what can only be described as a Spiritualized track. The more traditional pop songs, like “Little Girl,” are precisely what fans have come to expect as well. There’s tension in the violins, quick crescendos that burst at the end of each chorus, and Pierce singing about feeling trapped in this world of ours. And maybe it’s moments like that which prevent me from enjoying the album more than I should; Sweet Heart Sweet Light is mostly predictable. It’s not as if it sounds poorly done or cheesy, but at this point in the band’s life, you kind of have to shake things up creatively to bring in new fans rather than just catering to the known quantities. “I Am What I Am” will go down as one of the best of the songs in the band’s catalogue when all is said and done; the juxtaposition of Pierce’s voice and the female backup singers is incredible, and the straight up guitar-grunge riff makes for the most exciting moment on the album. I enjoy every single track on Sweet Heart Sweet Light. And for that alone I know it has to be a terrific record. It’s the Spiritualized record we’ve all been waiting for, but therein lies the problem: it’s too much like a Spiritualized album and completely uninspired lyrically. I’ll continue to spend time with the record; I think it’s one of the best of 2012 so far, but I wish Pierce would have taken a few more risks and experimented with the band’s sound instead of writing a record that sounds complacent. And just as I began, I can’t help but find myself asking: huh?